written during the Delvoye’s family’s first trip. This 6 years trip took Jean-François, his wife and their four children around the world on the 12 meter’s yacht he built himself in his garden. From the Mediterranean sea to Cabo Verde, from Brazil to Argentina, the apotheosis of this long trip certainly was the two years spent wandering in Patagonia’s canals. Six years spent by Jean-François asking to himself and the sailors they met “what is missing to your boat to make it the best yacht of the world ?”. And it is true to say that the question benefited greatly from their port-calls and encounters with Philippe Poupon, Oleg Belly, Alain Caradec, Bertrand Dubois and many others. Coming back to France, the idea was to make the best of all the experiences they accumulated to design and build the almost perfect boat to leave for new adventures with the family. 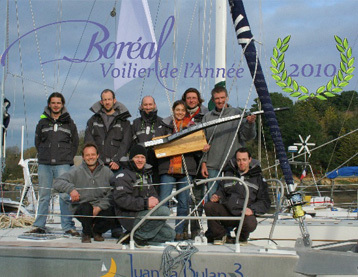 The company “Boréal” was created in 2005, a little bit by chance, with three clients, experimented sailors and totally convinced by the concept. The first sea trials totally validated the specifications. In 2009, Jean-François Delvoye joins up with another Jean-François, Jean-François Eeman. They met a few years before on a pontoon of Ushuaia.It is for him and his family that the first Boréal 44 has been built. Two sailors with complementary profiles. One knows “his” yachts by heart. He draws them all and he has built the first one with his own hands. He is the head of the design and engineering team. The other one has always been involved in the world of yachting. He worked for the biggest sailing events in the world and through his companies he took more than 50 000 persons to the sea. Good racer, he took his first “long trip” at the end of his studies onboard a 18 feet yacht… At Boréal, he takes care of the clients and supports their projects all way long. Together or by turn, they navigate the oceans on their Boréal 44. Today Boréal produces 5 yachts from 44 to 55 feet. A Boréal 68 and 78 are in project. Our engineering team equipped with the best tools and our high-level professional team allow us to guaranty our clients they will leave on a boat that will answer all their needs. Boréal, a brand now recognized worldwide. Not even two months after being launched in 2009 the Boreal 44 was crowned “Yacht of the Year 2010” in France. The year after she is awarded the same price in Holland. 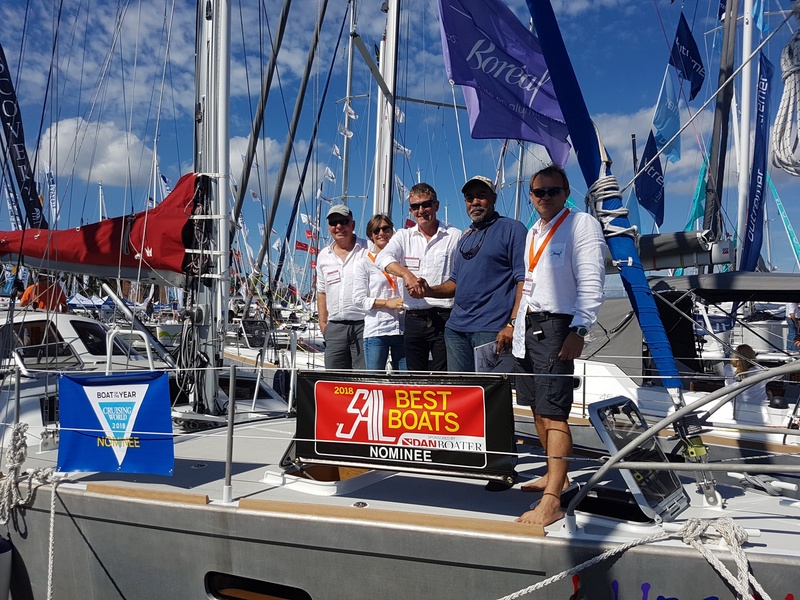 In September 2014 the Boréal 52, newly launched yacht, ended up third at the “Yacht of the Year”‘s election in France, all categories included. 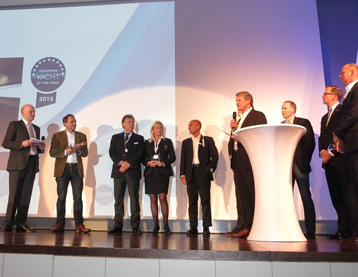 That same yacht has been awarded with the title of European Yacht of the Year 2015”, category “Blue Water Cruiser”. Beyond all those success, isn’t it more important that our boats take their crew on daily bases to all destinations in the world, including the most remote and wild destinations on Earth.